Oh my goodness. How adorable is this Girls Unicorn Hair Bows (Set of 4) on sale for $8.39 Shipped with the coupon code: SE2M2RCN at checkout. 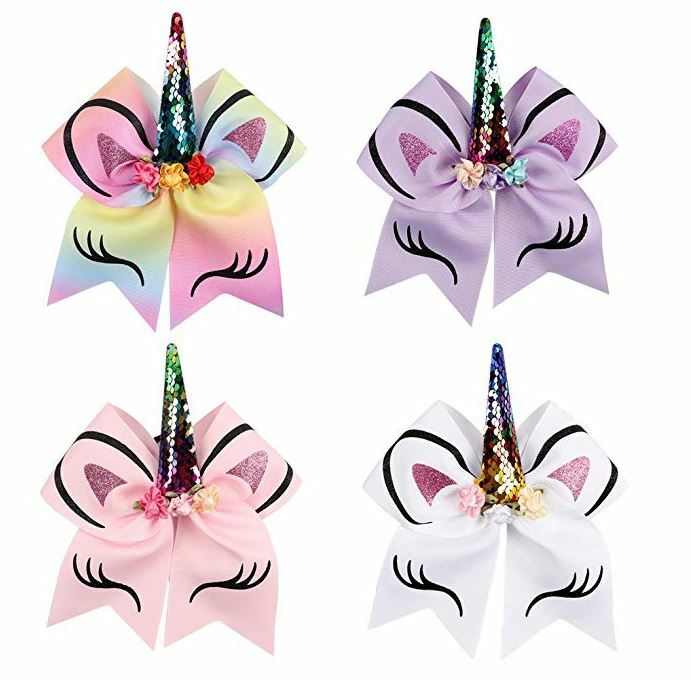 The Unicorn Hair bows are made of environmental & high quality 3 inch width grosgrain ribbon, cute sparkly Spiral Unicorn horn, ponytail holder, great for holding your hair with different hairstyles.